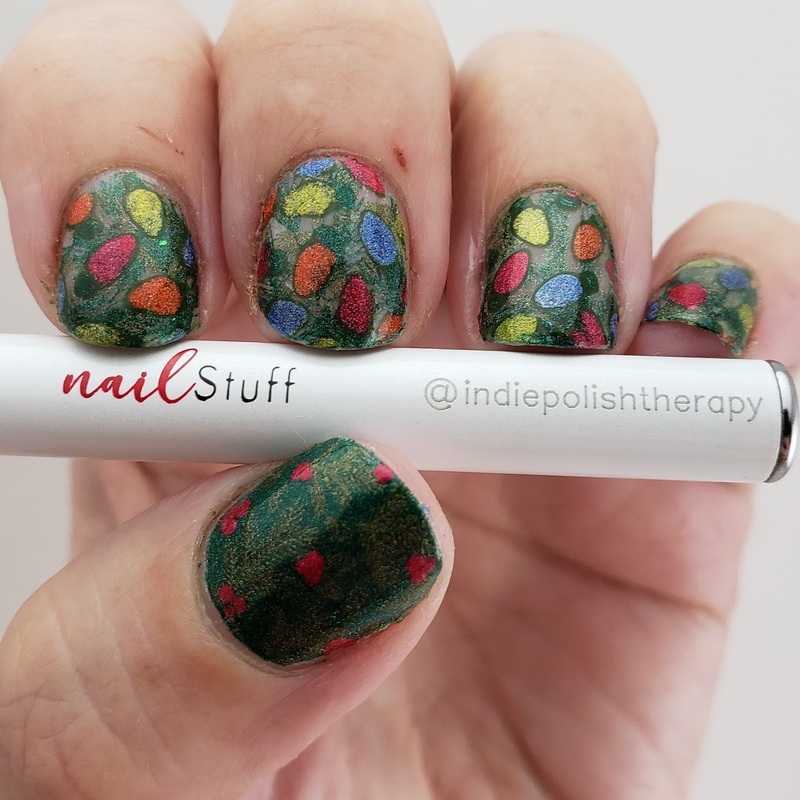 Intense Polish Therapy: Christmas Lights a la Nailstuff.ca! 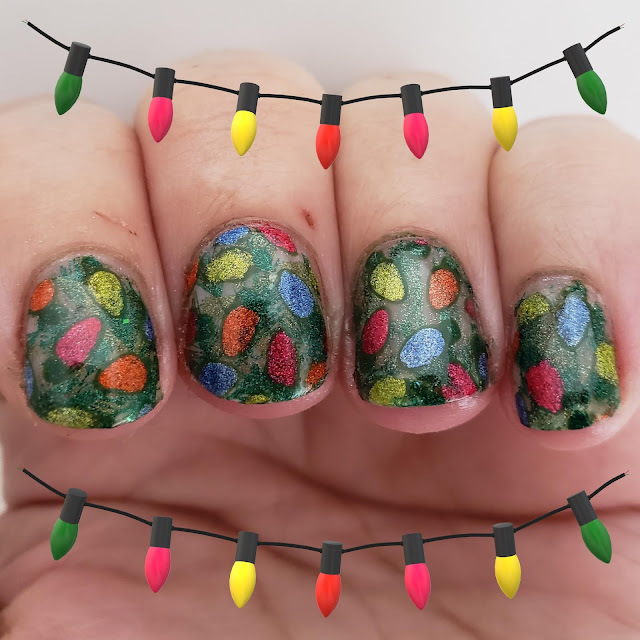 Christmas Lights a la Nailstuff.ca! 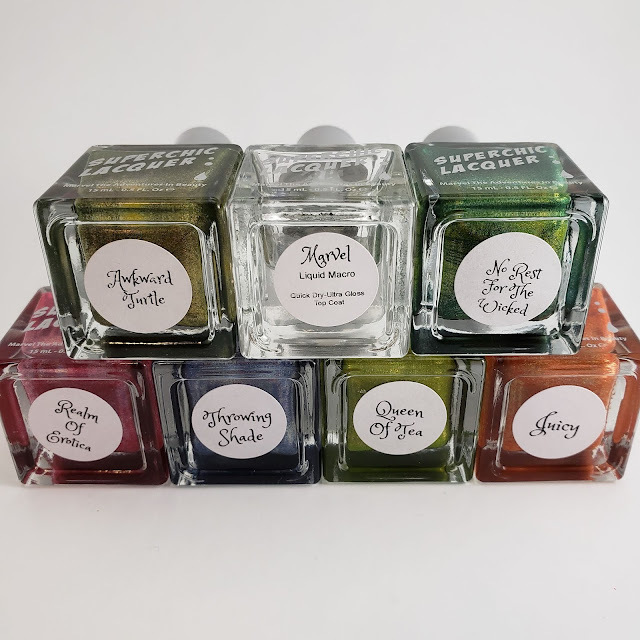 This week I received an incredible package of goodies from Victoria at NailStuff.ca, I could not wait to play with them and wanted to use them all at once! So here you have the results, my Christmas Lights Negative Space nail art! I actually squealed when I opened the box! 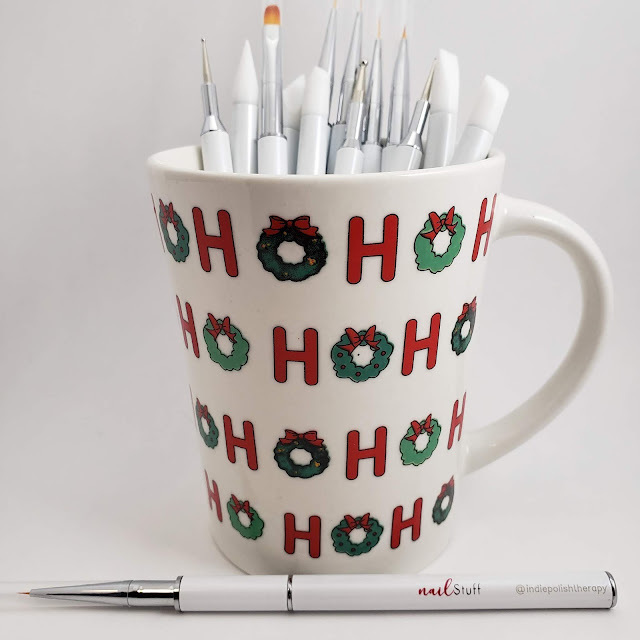 Victoria spoiled me for Christmas with gorgeous polishes, a super squishy and sturdy stamper and scraper set, and the most wonderful personalized surprise, a set of nail art brushes, dotting and silicone tools all embossed with my Instagram name! If you're interested in a set for yourself, Nailstuff.ca is going to offer a discount for our followers interested in buying the entire set with engraving, to get the code make sure to follow me on Instagram! The same day I opened this box I had also picked up a few new Christmas themed plates from Anita and I had just the perfect image I wanted to use! Growing up in the 80's my Christmas hero was of course Clark Griswold and these classic lights just spoke to me! Plus the new bright Superchic polishes were perfect and the teeny teeny detail brush would make filling in the image a breeze! I stamped the image onto my Twinkled T Mat, then used the detail brush with the Superchic Lacquer polishes to fill in the bulbs. Covered these with clear polish and allowed to dry before peeling up and placing on top of the base image on the nail. 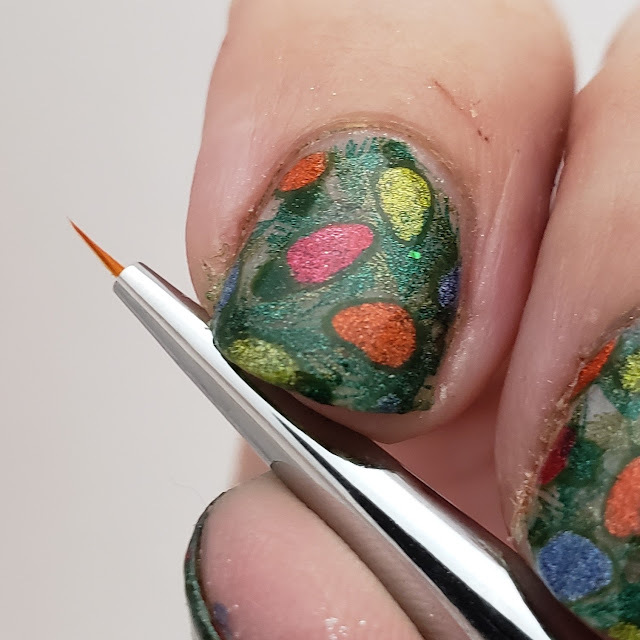 The teeniest detail brush I have now! I knew I wanted a classic Christmas tree look, with a more natural sparse limbs base. 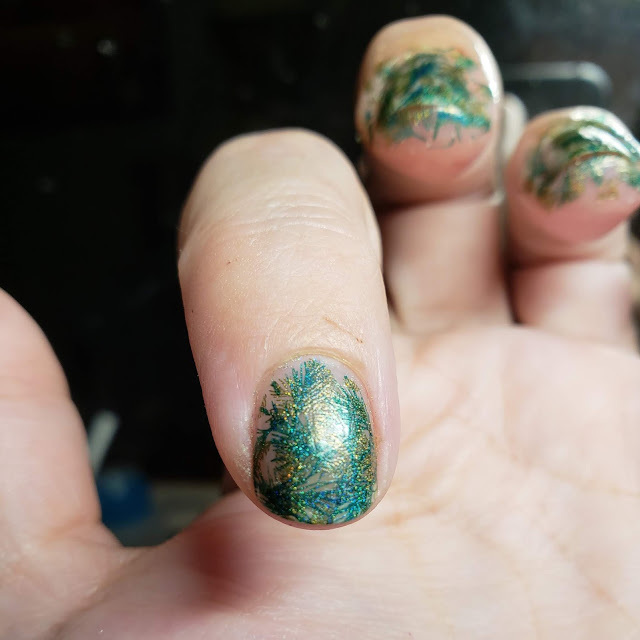 So I decided to go for a Negative Space, which simply means that instead of polishing my entire nail I opted to leave some natural nail showing by layering two pine needle images. 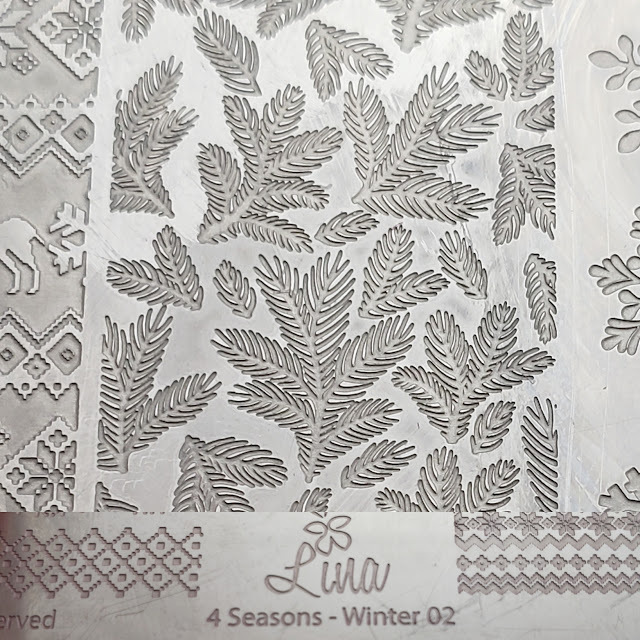 Which gave me this as a base to add the nail art stickers to. 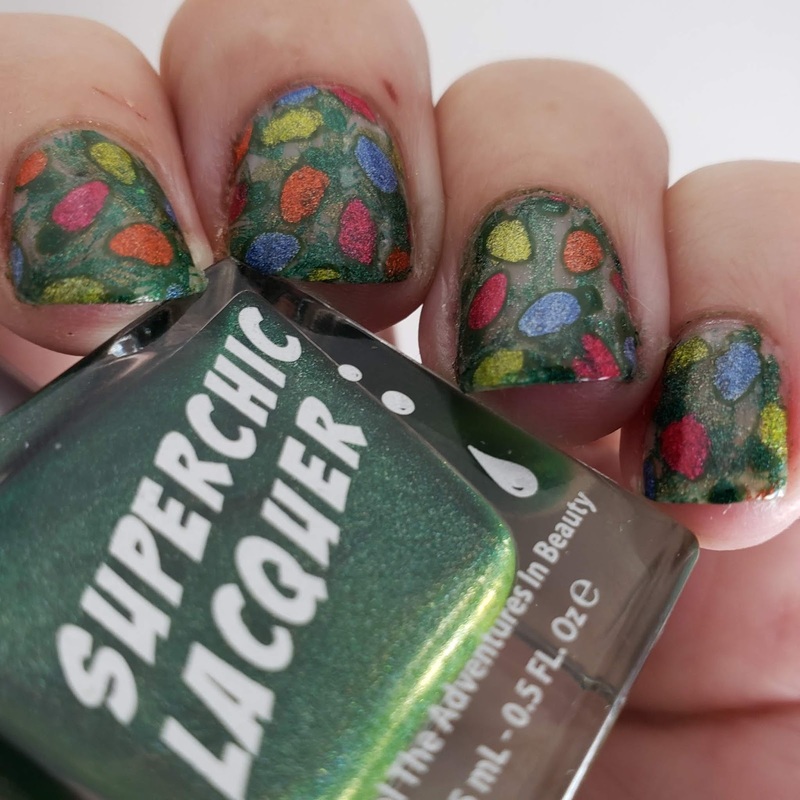 I used Superchic No Rest For The Wicked and Awkward Turtle. 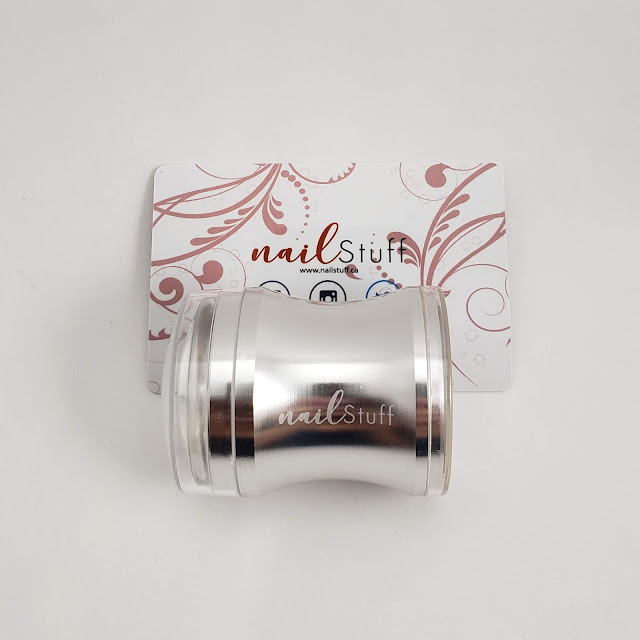 To adhere the nail stickers to the base image I used my Unt Peel Off Base Coat, also available from Nailstuff.ca. I brushed on a thin coat, allowed it to dry about 30 seconds, then smoothed the sticker across the nail using one of the silicone tools. 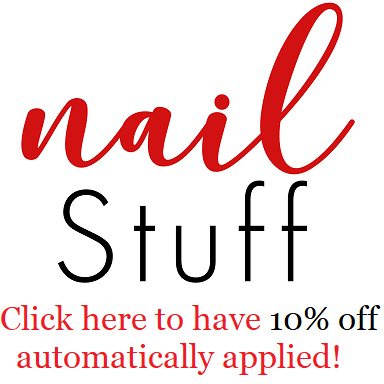 Using the clean up brush and a bit of acetone I smoothed and cleaned up the edges around the nail. 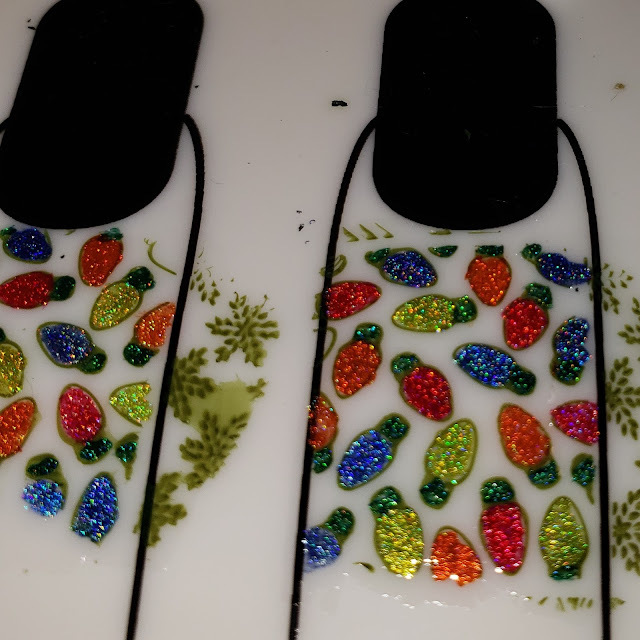 It's a little tricky and involved process and I always need more practice but I'm so happy with how they turned out. 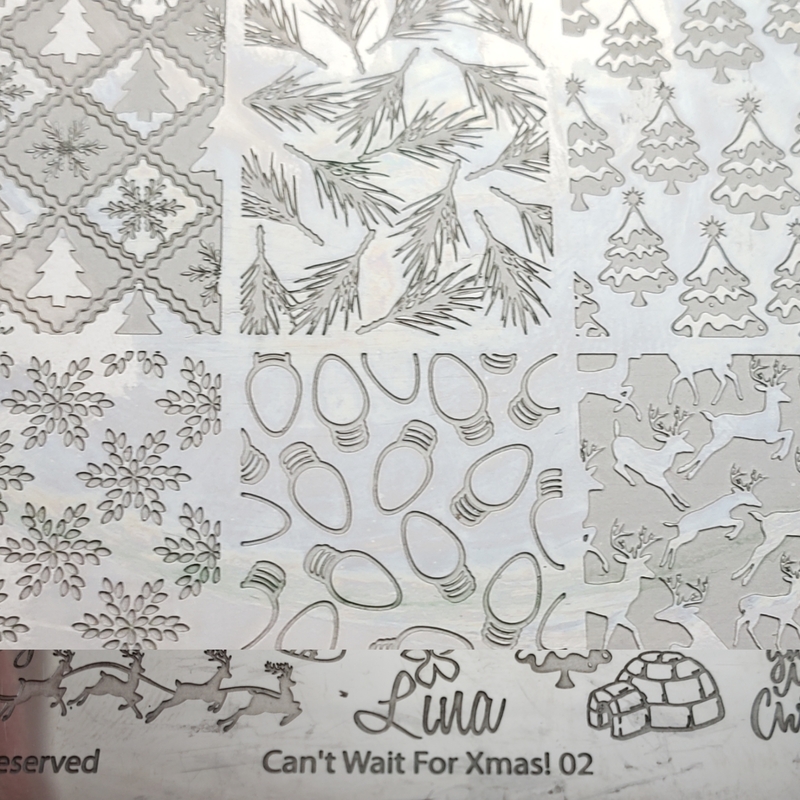 It is pretty much exactly what I had in mind when I started making the stickers! 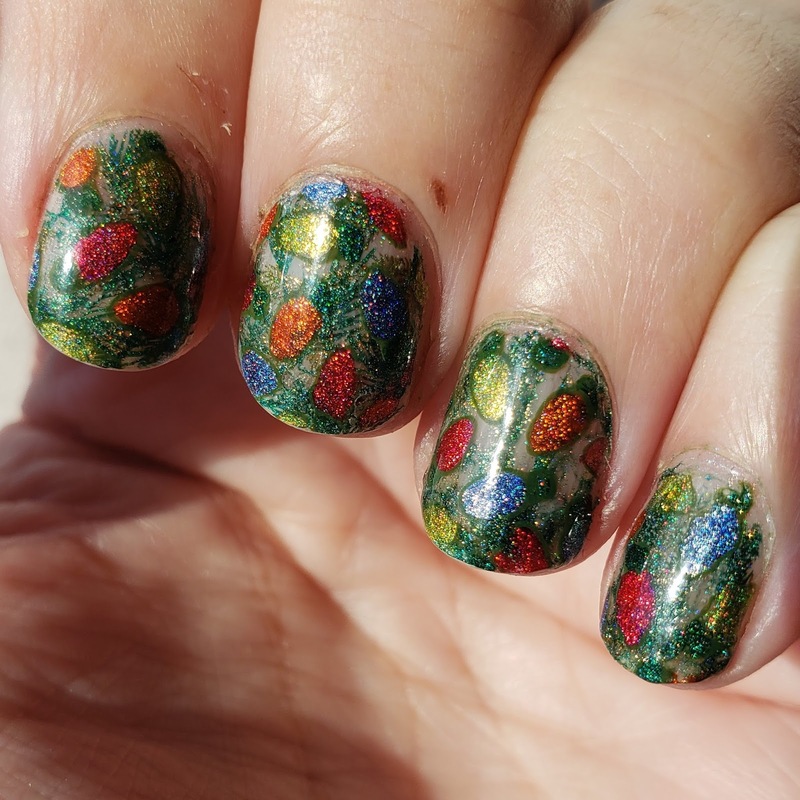 And I mean...come on... look at the gorgeous holo in the sunshine! On a personal note, I have been battling germs from hell for the last two weeks. They seem to have settled in my lungs and having asthma, I've been having a rough go of it. Thanks to a second round of Prednisone I feel like I'm finally able to take a decent breath. 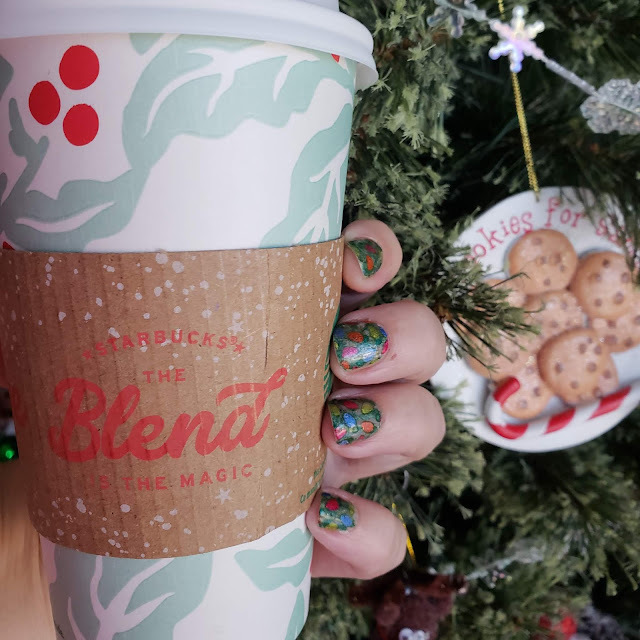 To cheer myself up I treated myself to my favourite seasonal Gingerbread Latte from Starbucks Friday and couldn't resist snapping a super festive nails and my drink shot next to my tree! 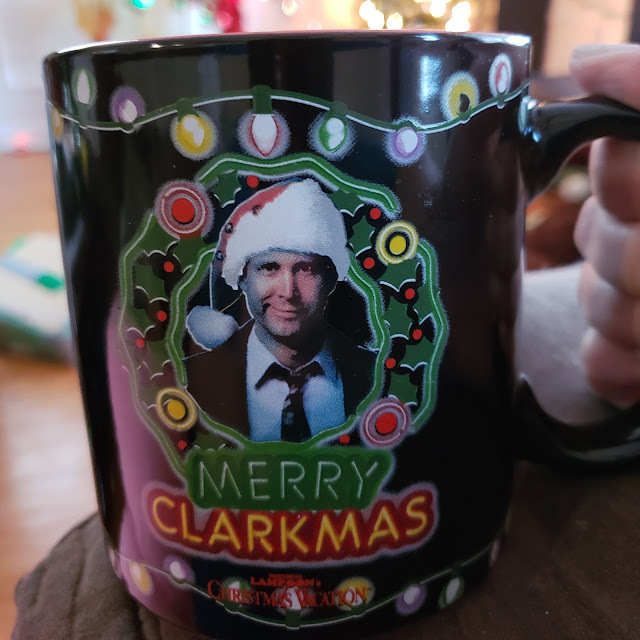 And because I really do have the bestest bestie in the whole world, she and her husband dropped me off this amazeballs surprise new coffee mug!!! !